Finished size is 17 1/2" x 17 1/2". Make your game out of your favorite fabrics. 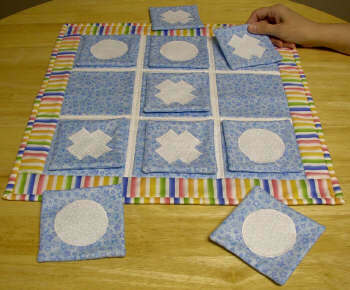 Game is washable and easy to make.